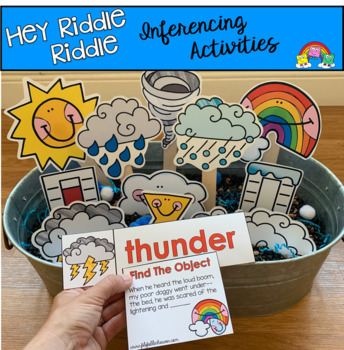 Weather Activities: "Hey Riddle Riddle Sensory Bin Riddles"
These Weather Activities, "Hey Riddle Riddle" Sensory Bin Riddles are going to be so much fun during spring season or as a supplement to weather units. 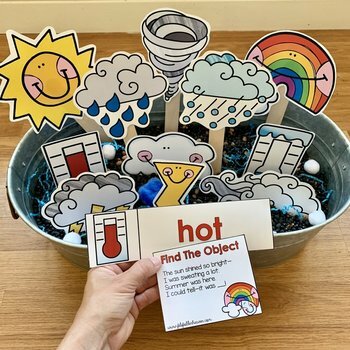 This set focuses on language skills, making inferences, identifying weather themed vocabulary and matching a word to a picture. 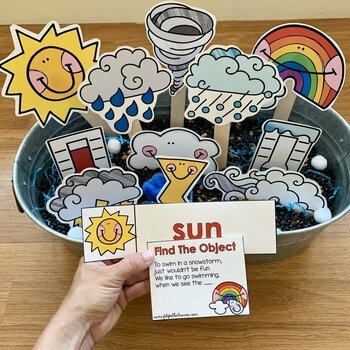 Students will read or listen to a riddle, find weather themed object or word in the sensory bin that matches the description. 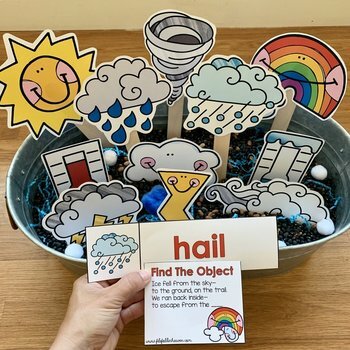 There are so many ways to use this little set. (See pictures for details.) I hope your students have fun with it.